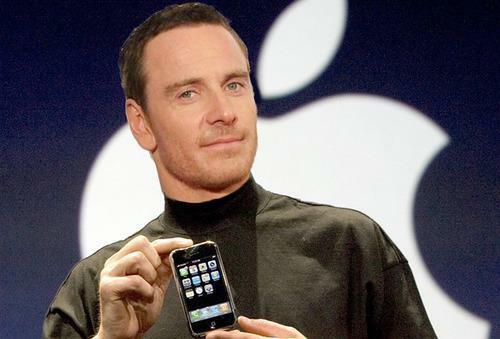 New trailer for the Steve Jobs movie. Who’s planning on camping out for tickets like it’s an Apple product roll-out? I think there are a lot of film fans waiting for the Steve Jobs movie the way a lot of people wait for Apple’s next big thing. iMac, iPad, iPhone, iWatch. What’s next? iLife? An app embedded into our wrists that’s part personal id, part fitbit? A body minder, measuring our caloric, fat and sodium intake, our heart rate and the number of steps we walk, that we can also use to schedule our Amazon product drops from our local drone delivery center and make purchases from the grocery story. Our wrists will probably light up and beep if we buy too much ice cream or unapproved snacks. Okay, let’s hope that dystopian future product is just a figment of our imagination. Not a figment of anyone’s imagination is the movie based on the Steve Jobs biography by Walter Isaacson. The Danny Boyle-directed movie stars Michael Fassbender, Kate Winslet, Jeff Daniels and Seth Rogan and comes out in just about a month. October 23. 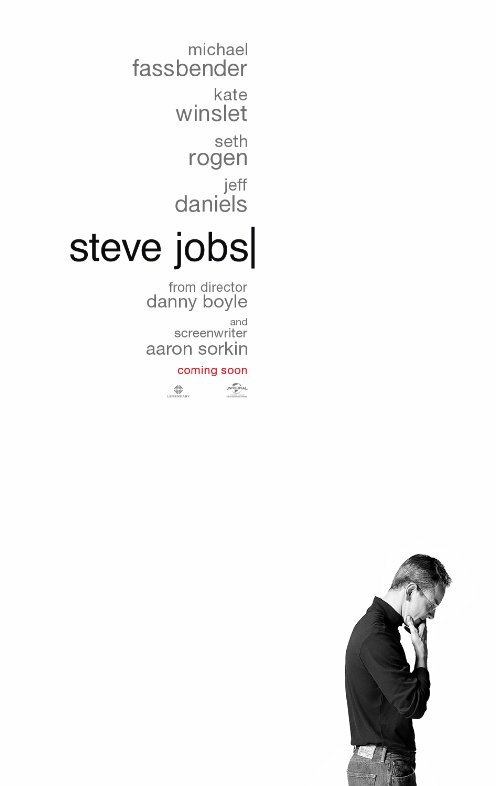 Anyone up for camping out at the movie theater so you can be the first one to buy a Steve Jobs movie ticket? While you mull that over, here’s the newest trailer.